We will provide staff, booth, and equipment on an as-needed basis. 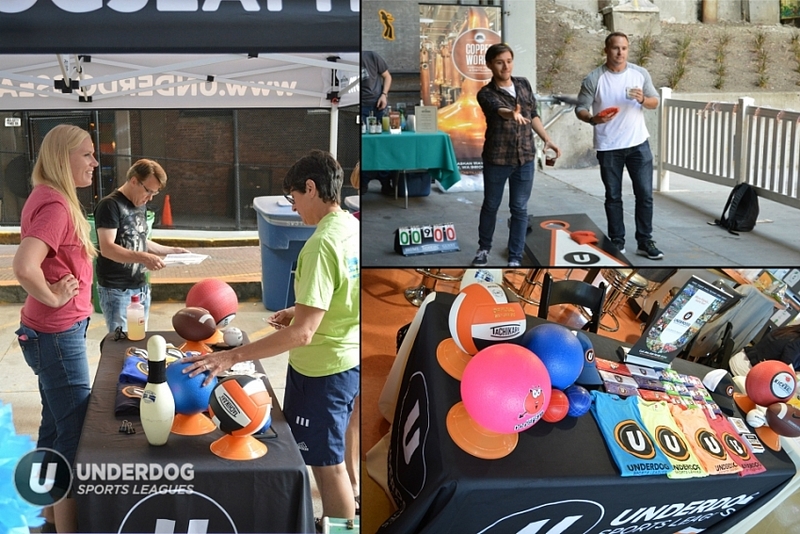 Contact us at events@underdogportland.com for a quote as well as more information! One of the side effects of being the largest Recreational Sports League in the Pacific Northwest is that we cycle through a significant amount of equipment on a fairly regular basis! Once a piece of Underdog equipment endures a certain degree of wear and tear, it is retired from active use, and ready for donation! If you're a charitable organization that could benefit from an influx of things like dated Team Uniforms or gently used Kickballs, we'd love to help you out! 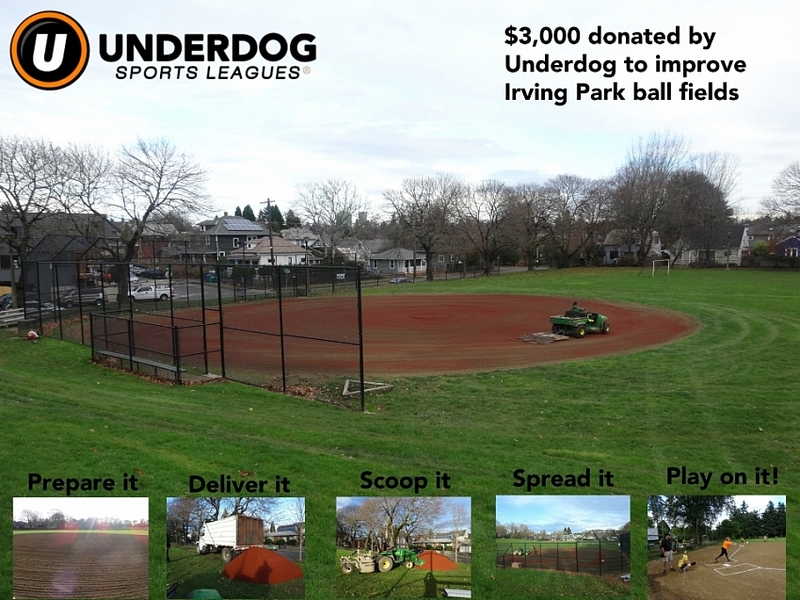 Contact us at info@underdogportland.com to follow up. 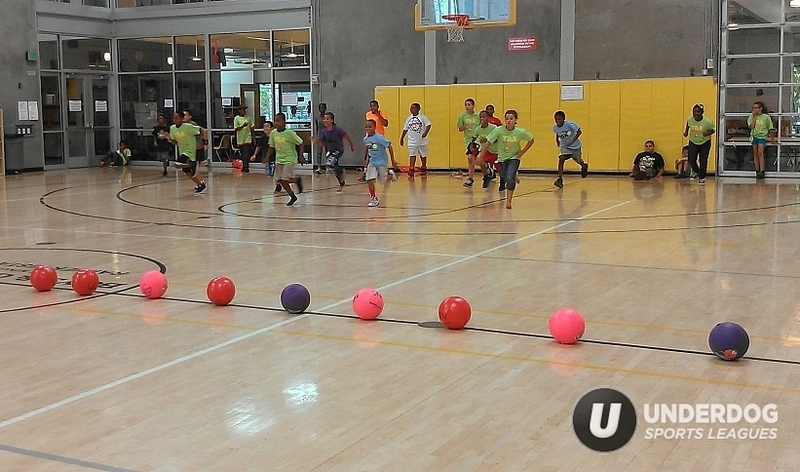 CASE STUDY: Aiming to fill a need for the underprivileged youth of Seattle, in 2013 Underdog made a donation to the Boys & Girls Club of Rainier Vista in Seattle, consisting of many lightly used dodgeballs, kickballs, and volleyballs. Both the staff and the children were overjoyed, and sent Underdog several pictures of our used equipment in action (seen above). Does your field or court need a little TLC? 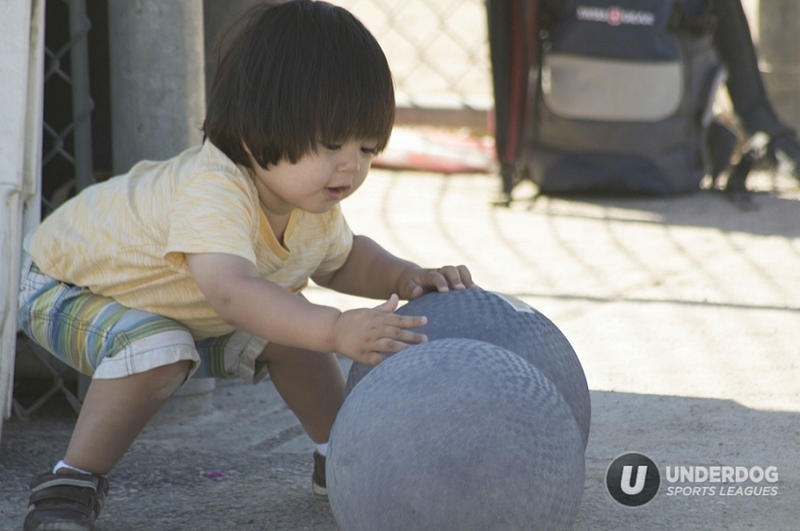 We make sure that every play surface we use at Underdog is up to playing standards. 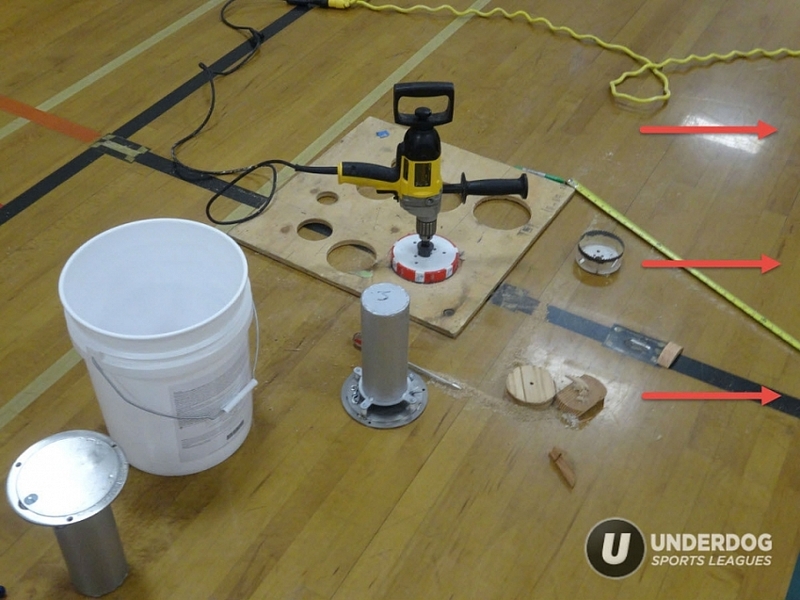 From filling holes in field turf to fixing that perpetually wobbly second base, even drilling the standards for a Volleyball net into a gym floor, we cover it all. Underdog locations can rest easy knowing that Underdog leaves their play areas in even better condition than they found them! Send us an email at info@underdogportland.com to learn more. 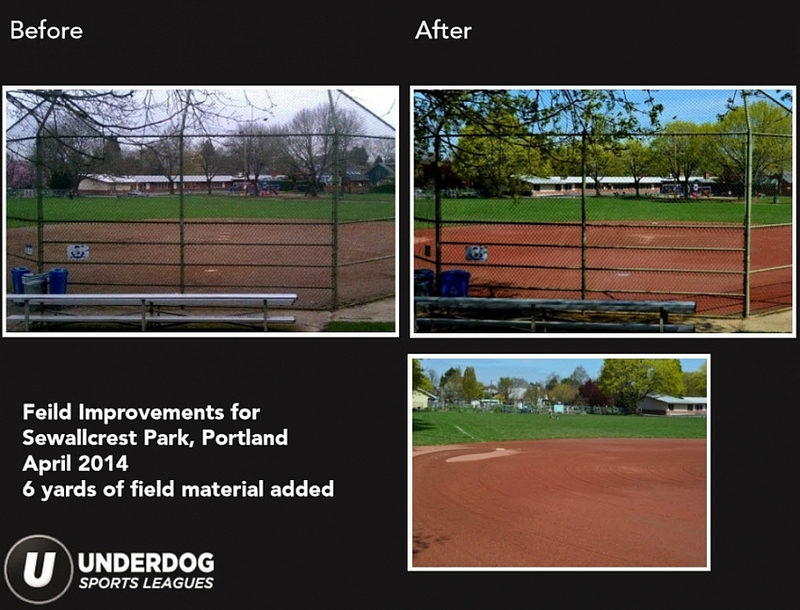 CASE STUDY: Last year, Underdog Portland saw a need at two of the indoor gym locations at which they hold leagues, at the Fernwood and Harriet Tubman schools in PDX, seen above. 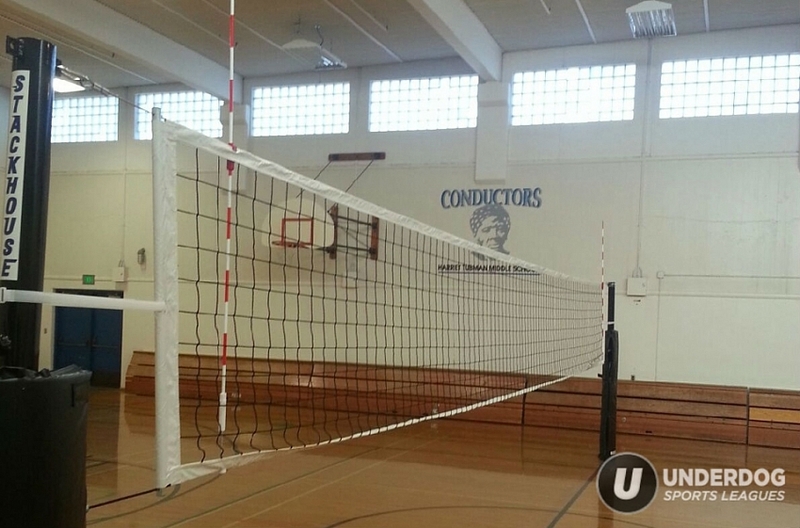 With the schools' permissions, Underdog drilled and installed Volleyball standards for the gym, investing almost $7,000 in improvements and equipment.